Premier Li returned to Beijing on Nov 16 after an official visit to Singapore, during which he also attended a series of meetings. 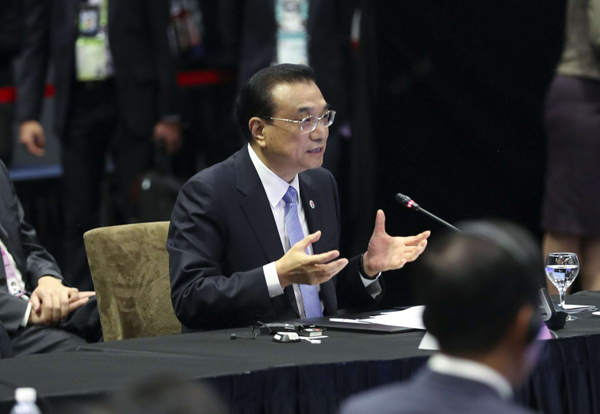 Premier Li Keqiang called on all sides at ASEAN meetings to maintain rule-based multilateralism and free trade. Premier Li called for efforts to enhance consultation and mutual openness to maintain peace and prosperity in East Asia. “The RCEP negotiation is in the critical stage. 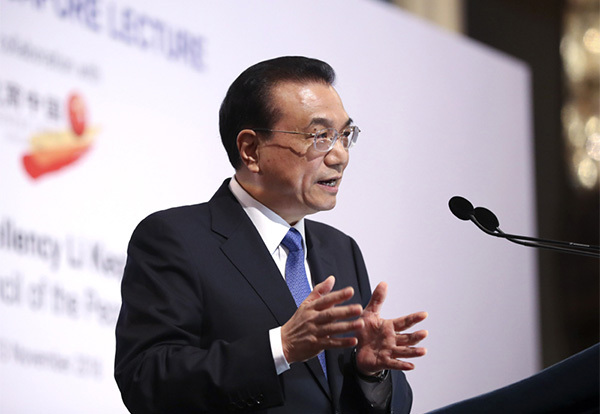 We must make efforts to reach an agreement next year,” Premier Li said. Premier Li said China is willing to work with Singapore to achieve greater progress in bilateral relations in the new era. Premier Li Keqiang said on Nov 14 that there are far more common interests than differences between China and Australia. China has all along supported speeding up regional integration, which was reiterated by Premier Li in his speech at the 44th Singapore Lecture. China and the ASEAN have adopted the China-ASEAN Partnership Vision 2030, charting a new course for further development of their cooperation. Premier Li Keqiang will pay an official visit to Singapore at the invitation of Singaporean Prime Minister Lee Hsien Loong and attend a series of meetings from Nov 12 to 16.